The American painter John Frederick Peto started out as a self-taught artist. Raised by his grandmother, with whom he lived until his twenties, he showed a great interest in drawing and painting from childhood. His first dated work was executed in 1875, two years after he began attending the Pennsylvania Academy of the Fine Arts. During this period he came into contact with William M. Harnett, who had then moved back to Philadelphia, and, like Peto, was studying at the academy. 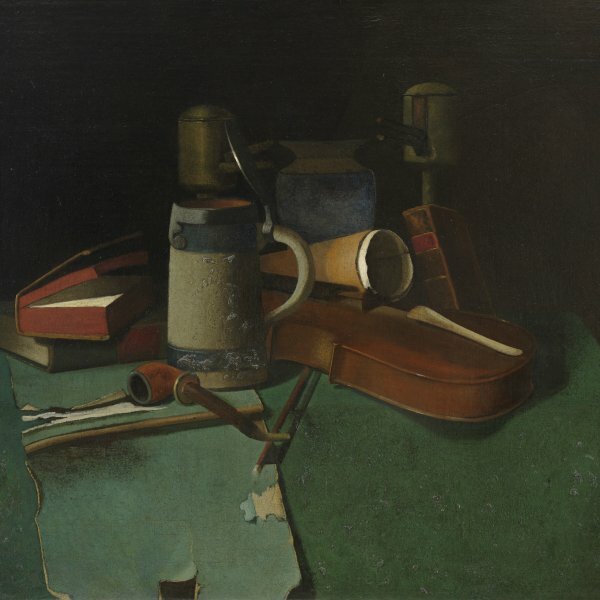 Harnett’s still lifes and his use of the trompe l’oeil technique had a decisive influence on the artistic development of the painter, who went on to show a preference for the same genre. 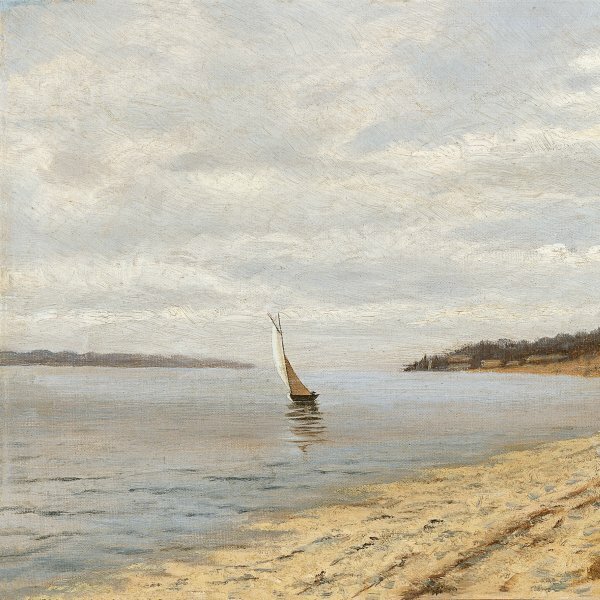 Peto married in 1887 and two years later he and his wife went to live in Island Heights, a summer resort on the New Jersey coast, where he spent the rest of his life. He died in 1907 from a painful illness that affected his kidneys after spending his final years completely out of contact with the art world. Peto was not an acclaimed artist in his lifetime. He did not enjoy success with the general public or with critics, and after his death his work was plunged into oblivion. Although his style and his personal, enigmatic iconography are now distinguished from the work of his contemporary Harnett, for a long time many of Peto’s paintings were attributed to the latter. Only Alfred Frankenstein’s study on trompe l’oeil in the 1940s recognised Peto to be Harnett’s best disciple and one of the most prominent still-life painters of nineteenth-century America.